We have been following the Splash Dog competition. This is a fun sport for your canine companion. You take a ball or floating device and throw it off a dock as far as you can. 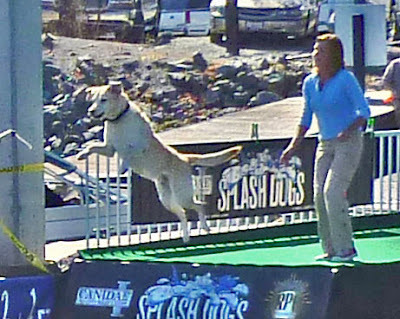 Your dog runs down the pier and jumps as far as he/she can. The jump is measured and winners are determined. This is great fun for everyone. We are hoping to get a puppy in the next couple of months and have plans to participate in this sport. 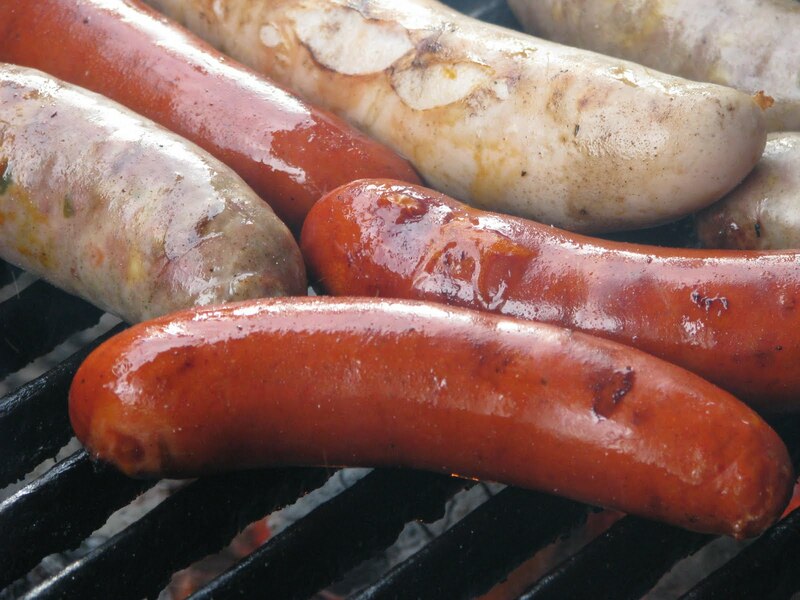 After watching these hot dogs we got a hankerin for some dogs of our own. Dogs of the jalapeno and cheese polish (Willowside), Atomic and bratwurst (Butler) kind. What a dog day afternoon! May I see your puppy when s/he comes? I love puppies, and puppy breath is the best! You're going to train Baby New to be a splash dog? Wow! I don't think Bartlett would do that. But, maybe I'm just speaking for myself. PS, did you get ultrasound results yet? Sounds like a positive. Cookiecrumb, Yes we got ultrasound results. They are all jumpers.